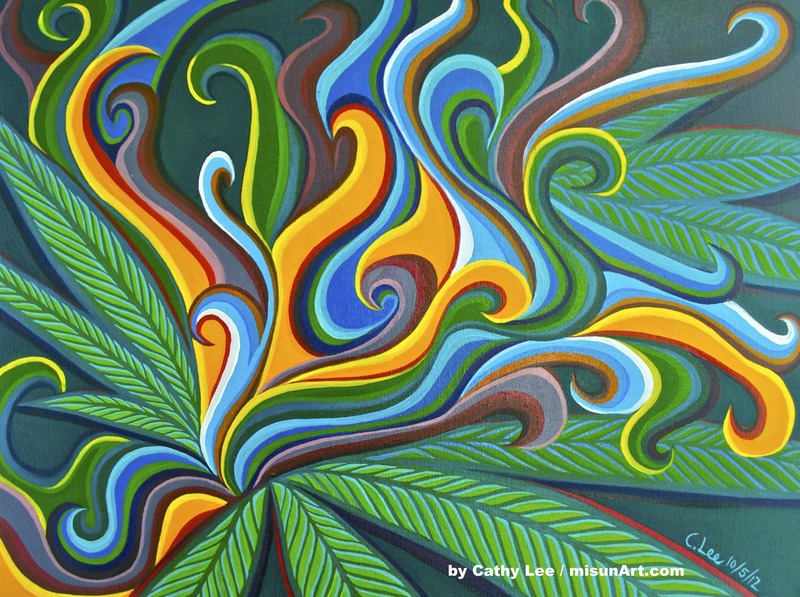 Cathy Lee is a professional cannabis artist, specializing in oil painting. Since the age of 5, Lee has been heavily influenced by comic books, cartoons, graffiti art, and photography. From 2006-2009, Lee worked as an independent cannabis baker, providing cannabis-infused edibles to fellow Prop 215 patients. 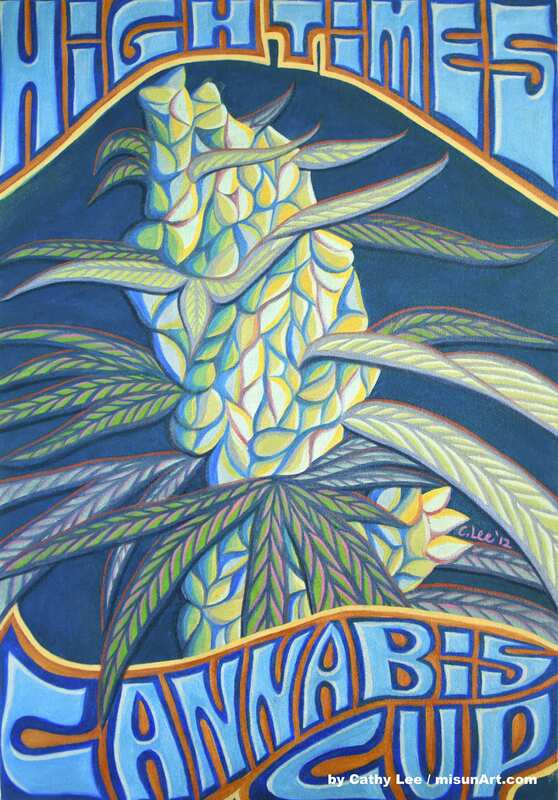 In 2008, Lee attended Oaksterdam University in Oakland, CA to study the medical cannabis industry. After graduating from Oaksterdam University, Lee volunteered on the Alumni Committee to help organize the 1st Annual Oaksterdam Alumni Cannabis Cup. Lee has been a Prop 215 patient for over 6 years. 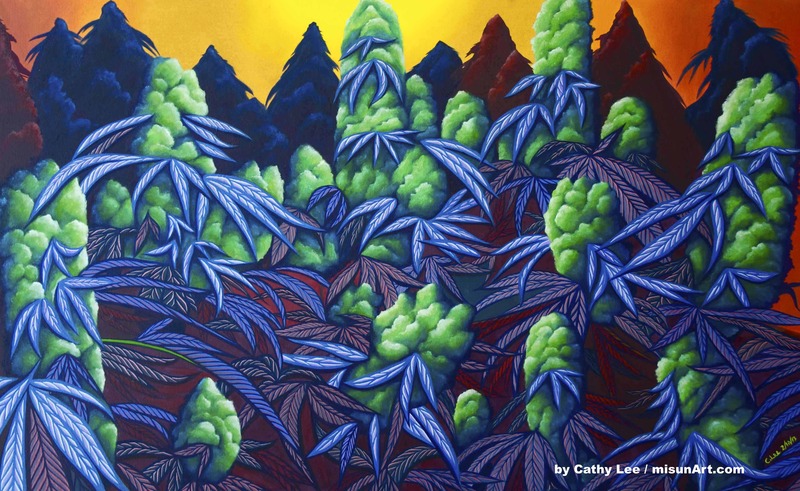 In 2010, she launched her professional art business called, “Cathy Lee Art,” where she combines her accumulated skills and talents to create a visual experience on canvas. Lee hand mixes all of her paints from scratch, and builds her own stretched canvases. Through this process, she builds a deeper connection with each piece she creates. 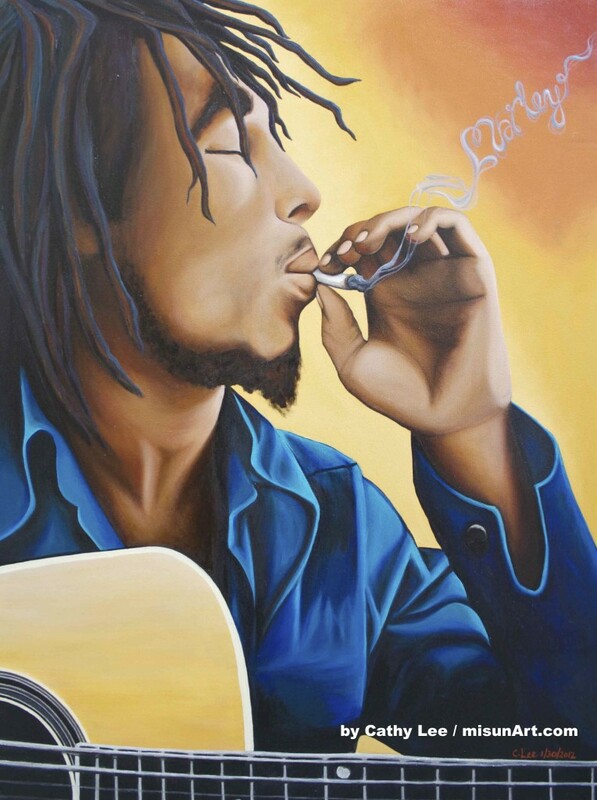 This entry was posted in Marijuana Art and tagged Marijuana Art.